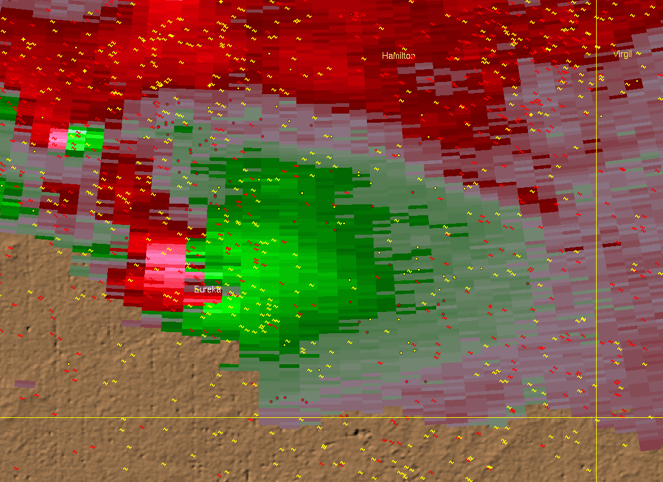 For those interested, here are the radar images from the time the Eureka Kansas, tornado was striking the city. The storm moved in from the north northwest. 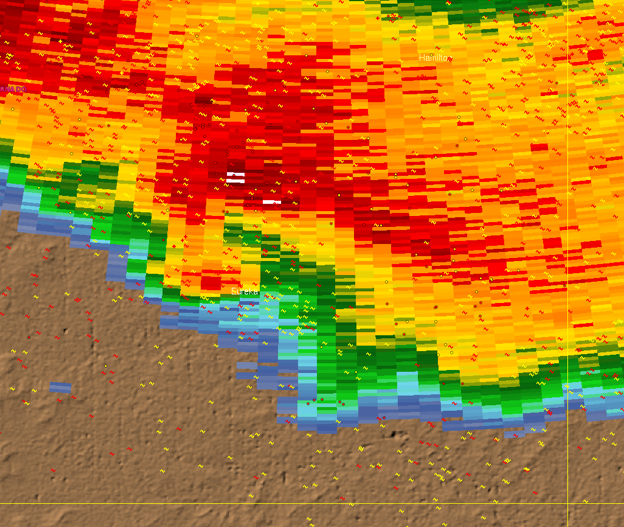 The reflectivity image, above, shows a fairly standard hook echo. The velocity image, above, shows a large circulation over the city. Below, courtesy of the Wichita NWS and Jason Keller, is an image of the tornado itself. 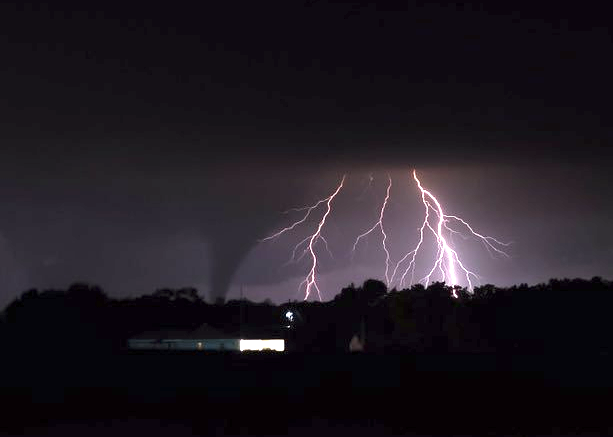 The tornado was rated EF-2. 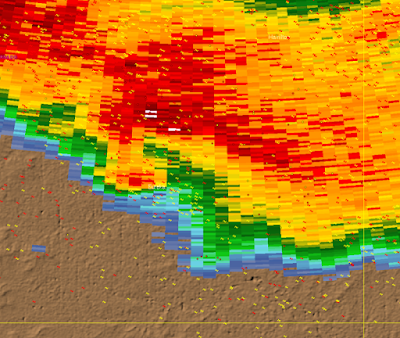 There was an EF-3 northwest of the city.